Grey Goose Vodka Gift Sets: 5 to choose from, ask your Rep today! Jack Daniel's Gifts: 8 to choose from! Ask your rep for more info. Jim Beam: 3 gift sets to choose from. Ask your rep for details! RumChata Gift Sets: 2 to choose from, ask your Rep today! Stoli Vodka Gift Sets: 4 to choose from. Ask your rep for details! Luc Belaire Sparkling Wine Gift Boxes: choose from 3 varieties, ask your Rep today! Find the perfect gift at a retailer near you! Dewar's Gift Sets: 2 to choose from, ask your Rep today! Sogno di Sorrento Crema Liqueur Gift Sets: 3 to choose from, ask your Rep today! Looking for Advice? 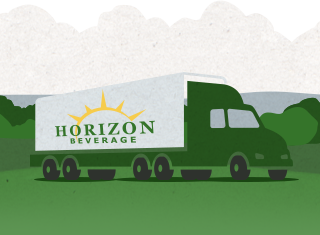 Horizon's sales and portfolio teams bring decades of insights that can help you - from picking the right cocktail to managing your inventory.